Could TMD Be Causing You Pain Elsewhere? Do you suffer from chronic jaw pain? Does it constantly pop and click, or is it difficult to open and close? If so, you may be suffering from a temporomandibular disorder, also known as a TMD. This refers to problems with the jaw, specifically to the small joints located in front of your ears. Doctors have known for years that a TMD could lead to headaches and neck pain, but did you also know that it could make you more pain sensitive overall? 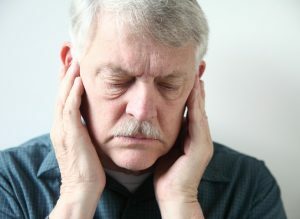 New research at the Temporomandibular Joint Association (TMJA) suggests that a prolonged TMD could affect the nervous system similarly to fibromyalgia. Fibromyalgia is a condition that causes the nerves in the body to become more sensitive to pain. A gentle touch that a normal person would barely feel could often be painful to a person with fibromyalgia. Researchers were curious if a TMD could have a similar effect on the nervous system, so they came up with an experiment. In order to test the pain response of people with a TMD, they put people into 3 groups: those with a TMD, those with fibromyalgia, and a control group with neither. They then exposed them to a heating pad, which wasn’t painful initially, but became so after multiple exposures. They measured both how much pain each person felt, as well as how long the pain lingered, and then compared their findings. Interestingly, they found that the pain felt by each group was very similar. While some did feel an increase in pain as they were exposed to the heating pad, the differences weren’t clearly delineated between the groups. The true difference was in how long the pain lingered. The groups that suffered from TMD and fibromyalgia both showed more lingering pain sensations compared to the control group, and demonstrated that either condition may have affected their nervous system and made it more sensitive. This presents new knowledge in the long-term effects of TMDs, and is another reason patients should get it treated immediately if they show symptoms. If you are suffering from a TMD and want to save yourself from increased sensitivity, you need to get some kind of TMJ therapy. It is the only way to help your jaw properly heal and function normally again. The first step is to get your jaw examined. Dr. Steve Koo of Piney Points OMS regularly performs TMJ/TMD evaluations, and is experienced in many treatment options as well. He will be able to find the source of your TMD, which will inform him on the best course of treatment. This can range anywhere from simple exercises you can perform at home, to needing to wear a mouthguard or get facial surgery. The key is that treatment is the only way to save you from the long-term effects of TMD and help you have a normal, comfortable life again. Curious about what might have caused your TMD? Want to know more about treatment options? If so, please give us a call today, and we can schedule an appointment that will be your first step to a complete recovery! by: Dr. Steve Koo at January 18, 2017 . Comments Off on Could TMD Be Causing You Pain Elsewhere?